Kia Motors launched the Kia Stinger in the UAE at the 2017 Dubai Motor Show last week. The latest flagship Kia debuted at NAIAS 2017 in January. 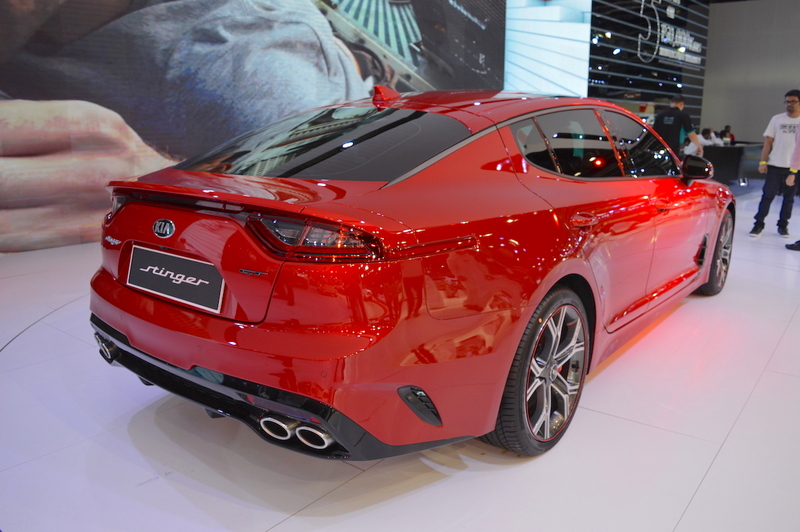 The Kia Stinger is the production version of the 2011 Kia GT Concept. The fastback sports sedan is the most powerful production vehicle in Kia’s history. Designed in Frankfurt and developed on the Nurburgring, it is based on the same rear-wheel-drive platform as the luxury-focused Genesis G70. Kia showcased the car’s range-topping GT model in Dubai. The Kia Stinger GT sports a 3.3-litre biturbo V6 petrol engine that produces 370 PS and 510 Nm of torque. An 8-speed automatic transmission sends power to the wheels. Rear-wheel drive is the standard drivetrain layout, but customers can opt for all-wheel drive. The Stinger GT accelerates from nought to 100 km/h in just 4.9 seconds. Kia promises a top speed of 270 km/h. Stopping power comes from ventilated disc brakes from Brembo (front: 350 mm, rear: 340 mm), with quad-piston callipers (front)/dual-piston callipers (rear). 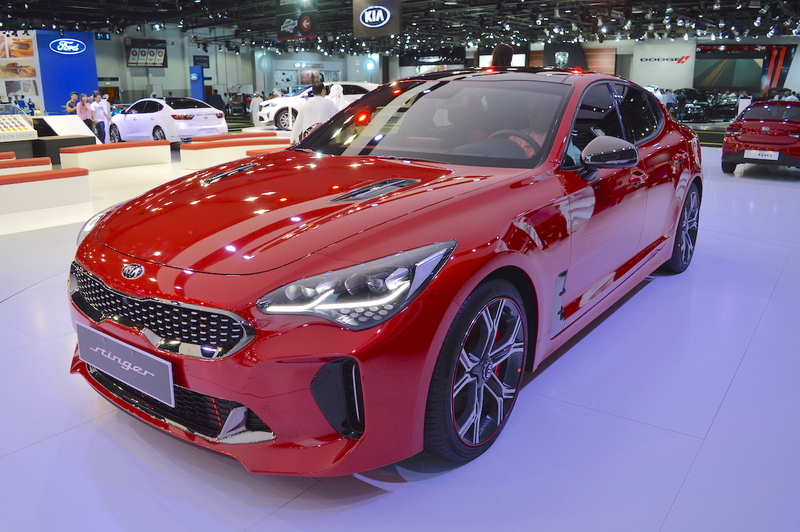 Noteworthy features of the Kia Stinger GT include full-LED headlamps, front-bumper-integrated air curtains, dark chrome finished ORVMs, 19-inch alloy wheels, high-performance 225/40 R19 tyres (front)/255/40 R19 tyres (rear), rear diffuser, quad oval exhaust pipes, LED rear combination lamps, D-cut steering wheel with embossed GT emblem, Nappa leather seats, floating central display, three-zone climate control, aircraft-inspired air vents, electronic parking brake and 15-speaker Harman/Kardon premium sound system. The regular Kia Stinger is available with 2.0-litre turbocharged petrol and 2.2-litre turbocharged diesel engines. The former delivers 255 PS and 353 Nm of torque. The diesel engine develops 200 PS and 440 Nm of torque. Both these engines are paired with an 8-speed automatic transmission as standard. Rear-wheel drive is the standard drivetrain layout, but there is an option for AWD. In the UAE, the 2.2-litre diesel engine option is unavailable. Kia has listed the Kia Stinger on its UAE website but is yet to release its prices.